Collaboration of humans and robots declares strictly assigned roles. The humans manage the robots, and only set and control operations. 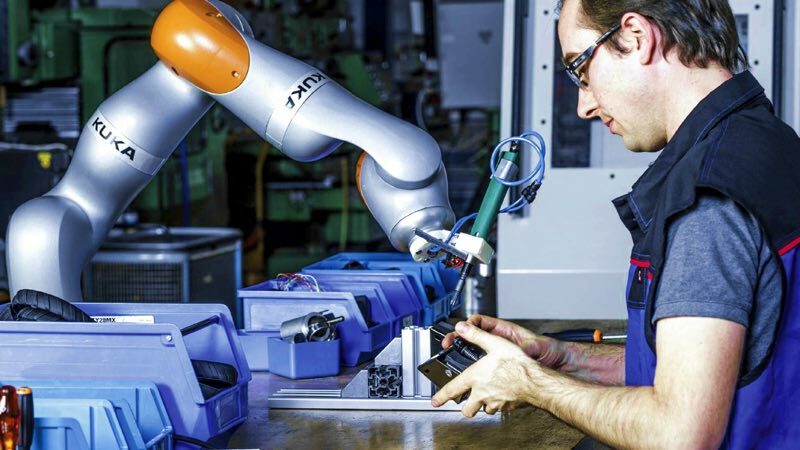 The robots perform mechanical and physically hard work. And they both use their key abilities to complement each other for better results. 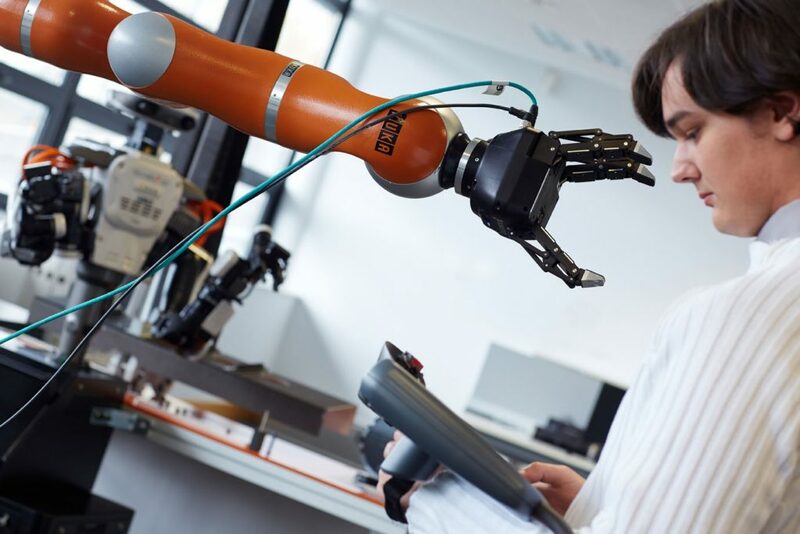 KUKA is the first company to design and integrate the robot eligible to collaborate with human – KUKA LBR iiwa. It is equipped with intelligent technology for auto-control, up-to-date software technologies and high-precision sensors. 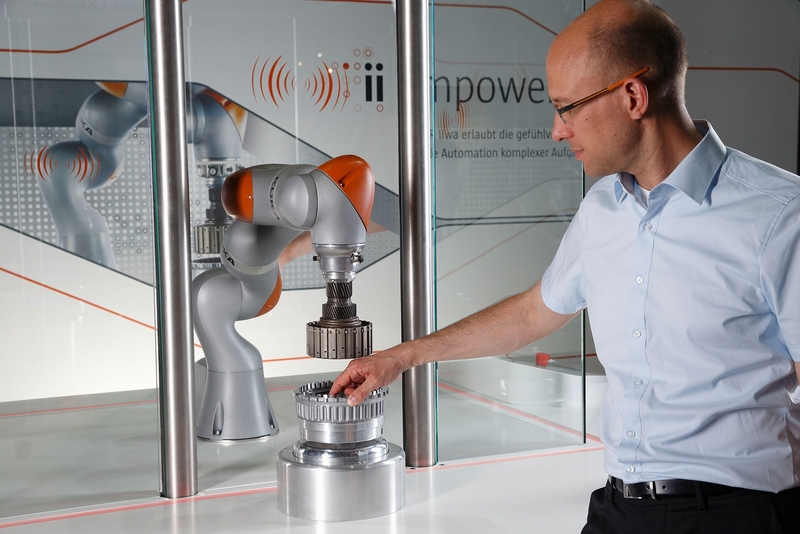 This allows manufacturer to automate the most complex works that only used to be performed manual, and to reduce time and expenses. Even better productivity and sophistication of the equipment due to built-in sensors.